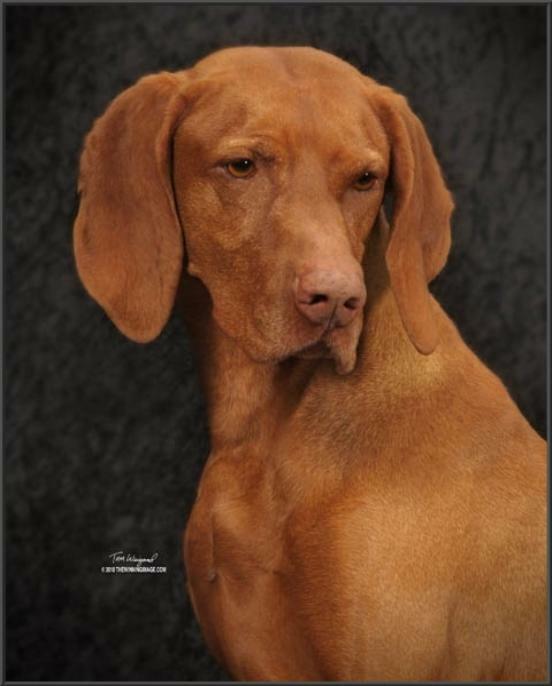 Storm Wind Vizslas, California, Storm - CH Russet Leather Storm Winds SH, MAOM. 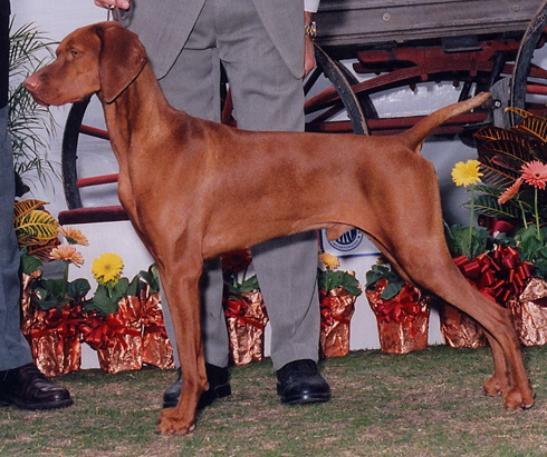 #13 Vizsla - 2007 (3 mos showing), VCA Natl Stud Dog 2nd Place - 2007, Multiple Group Placing, Senior Hunter. 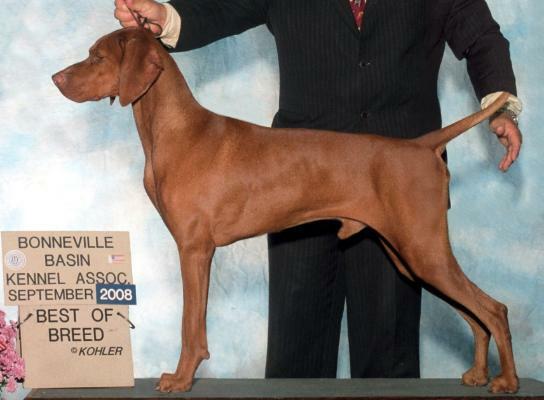 Proven Stud Dog. 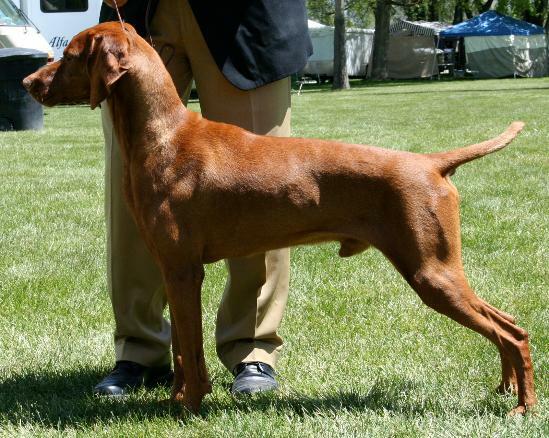 OFA Hips VZ-8807G24M-NOPI "Good", OFA Thyroid VZ-TH247/59M-NOPI "Normal", CERF Eyes VZ-711N "Normal"
Sire: 6xBISS CH Russet Leather Vasara Sands "Cougar"
Offspring: Grand Champion, Multiple Champion, Hunt and Obedience titles.